Posted on 23rd October 2017 at 10:57 am. We love getting creative on Instagram here at the Luton Airport Guide… and we’d like to share our favourite visitor posts from Luton Airport itself! So whether you’ve been tagged, caught on a stag do or clinking champagne glasses on bomerang, you might just make our top fifteen! If we’ve missed your favourite snaps, share them in the comments below! Let’s take a look at those classic Luton Airport Instagram Posts. #15 We’ve all been there right? Having a bath… in duty free… at Luton Airport…? Here’s @jachim87 enjoying some time in his golden bathtub at Luton Airport in September. #14 He’s so fluffy, I’m gonna die! Despicable Me has nothing on #lutonchristmasbears, even if it is only October. How cute! Just one question… do we need to buy him a ticket to fly? We honestly can’t tell if this was planned or not! Luton’s Bars and Restaurants are the best place to pick up a pint or a snack before a flight… or even to double-check if you’re outfit’s on trend! #12 Do you think he knows? Airports are a great place to see so many different people, culture and travel habits… or maybe they’re just a great excuse for comedy timing! Here’s a seemingly unaware passenger at Luton Airport being picked up on Instagram for bringing out the absolutely fabulous! Spotted at Luton Airport’s Instagram: “Armed police chaps helping an elderly couple through the airport”. Thanks @marcrisby for catching this one, what a lovely moment at Luton. Lovely to see the armed Police chaps helping an elderly couple through the airport. Unless @verygoodplus is right, could they be “wrong ‘uns”? We find that hard to believe. Here’s a quality selfie from @msftandylee aka Andrew Lee. He’s clearly very excited about his trip off to “bonny Scotland”. Beam me up, Scottie! Here’s @michael.grossman1 aka “the rebel”. In future, you really have to ask for the pilot’s permission. Here he is, showing off his highly functional fingers. Please note you should always ask the pilot and/or crew’s permission before entering the cockpit. We don’t recommend exploring the plane without express authorisation from the cabin crew. The iPhone 8 and 8 Plus, now new and improved by passengers at Luton Airport. Here’s @dmcooper89 with the latest! Take a look at the Duty Free shops to see what else you can pick up at Luton Airport. Here’s @malx and the crew getting away in the autumn for an ABBA reunion tour with their… pumpkin? Great photo, whatever’s going on. One small step for a footballer, one giant leap for the England Team. Here’s when the England team travelled to Lithuania for the upcoming matches. We won 3-0. One of the most incredible and dramatic shots we’ve seen on Instagram. It’s a birdseye view over the English countryside with a storm brewing in the background, defracting light down onto earth. One of those special aircraft sights from Wizz Air. Wizz Air is one of the major airlines flying from Luton Airport, you can see what flights are departing today with our Online Departure Board. No. Mate, that’s a pillow. Here’s an incredible shot from one of the crew members working at Luton Airport, @michalis_weeks. He’s mixed a very high saturation with a shot up the runway… a view not many of us get to see, and we love it. Where are you taking us on holiday next? #2 Brace yourself for Wizz Air’s latest recruit! Here’s little Noah who’s teaching us all about what to do in an emergency via Luton Airport on Instagram. Cutest flight-attendant ever? We think so! Just remember, in an emergency, hide the haribos at all costs! 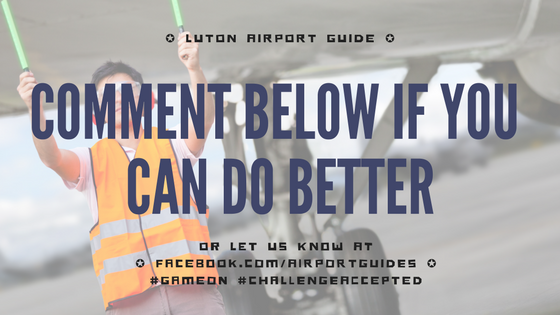 Here’s our checklist to help you plan your journey in and around Luton Airport if you need a little help in emergencies too. Ever wondered what landing at Luton Airport looks like through the eyes of the pilot? Watch to the end to find out! One way to use your Go Pro! It had to be our #1 Luton Instagram Post. 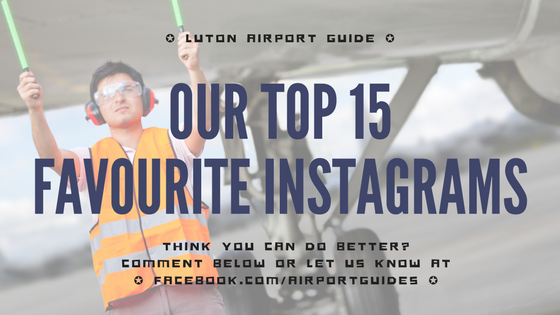 If you enjoyed our top 15 Luton Airport Instagram Posts, let us know in the comments below or share with us your favourite snaps… if you think you can do better!